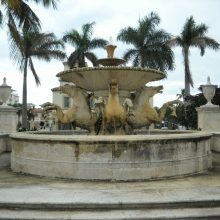 The Town Hall Park Fountain was designed by American architect Addison Mizner. Built in 1929, it was the last work by the iconic architect for Palm Beach, Florida. 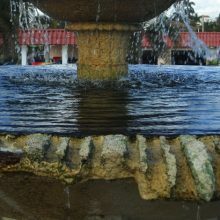 The fountain consists of a main circular basin approximately sixteen-feet in diameter, which contains a set of multi-tiered bowls and stems of diminishing size. 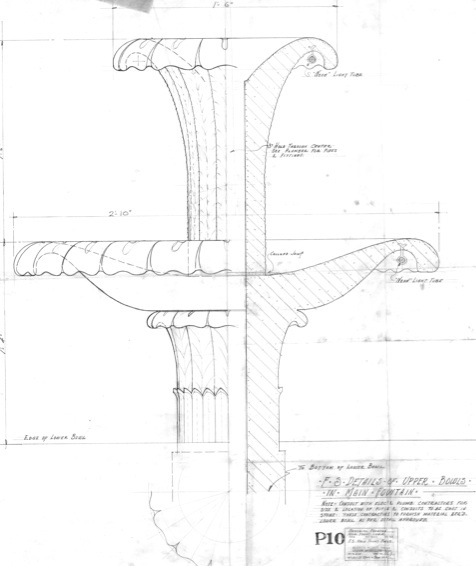 The large lower bowl is supported by a thick central stem and four hippocamps or mythological sea-horses. 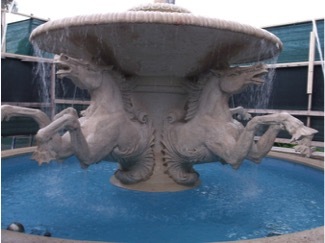 The design is based on the Fontana dei Cavalli Marini in the Borghese Gardens in Rome. 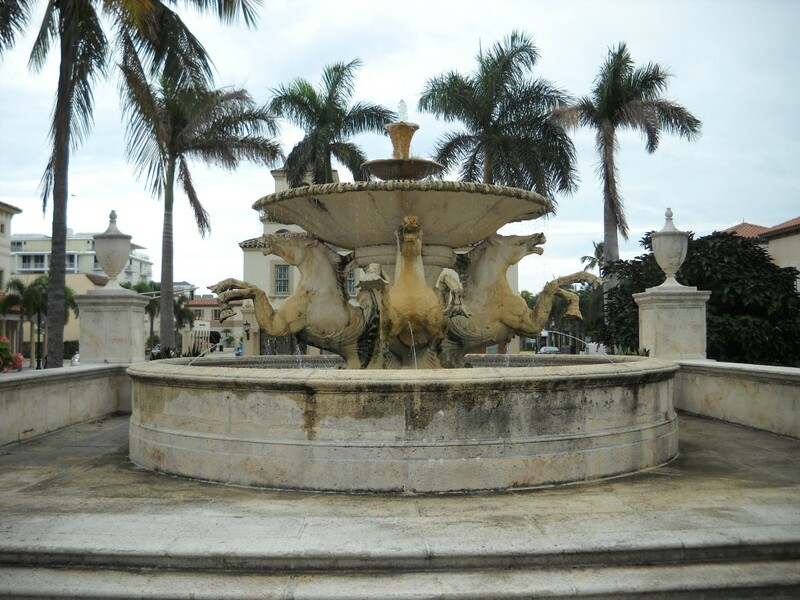 The fountain is constructed of cast stone, designed to imitate the color and texture of the local coral limestone. 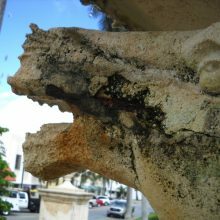 Reinforced with steel, the constant exposure to the salt air and moisture infiltration caused significant deterioration resulting in loss, cracking, and erosion of details. In 2012, we completed a conditions assessment and prepared specifications for restoration. Petrographic and chemical analyses were performed on cast stone samples to determine the composition and carbonation levels. 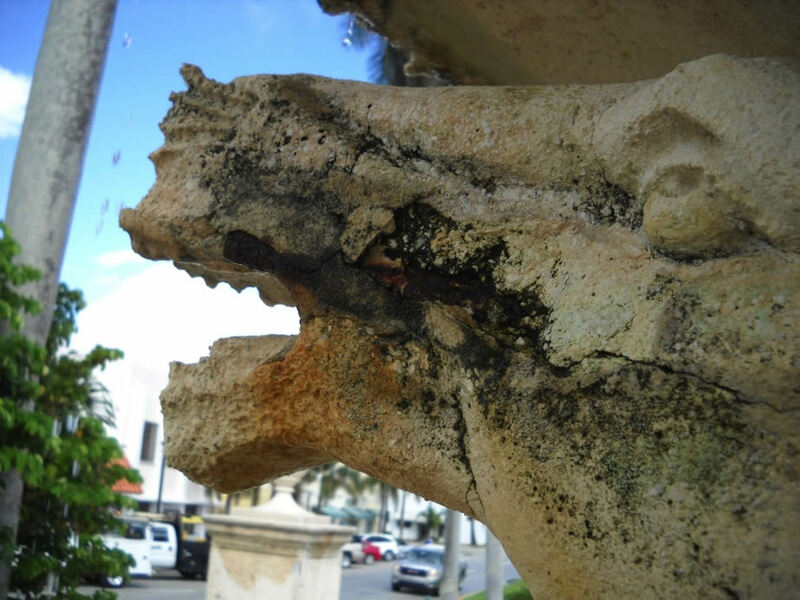 Analysis determined that the natural carbonation of the cement paste over time caused a loss of alkalinity which normally protects the embedded rebar from corrosion. 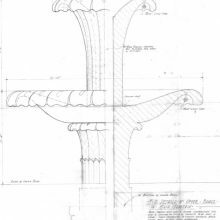 We developed a treatment plan for the work which was endorsed by a grant from the state Historic Preservation office and implemented by the Town as part of the site restoration. 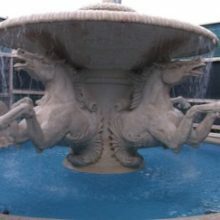 The fountain was disassembled, losses were re-created in new cast units, and the four hippocamps were restored. Conservation work began in 2014 and was completed in 2015. Bridges, Marsh, and Associates, Inc.